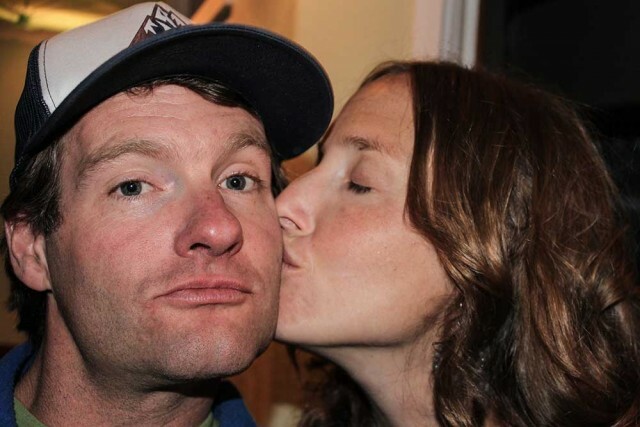 Three weeks before he died in an avalanche on Loveland Pass—along with four other men in one of the deadliest avalanches in Colorado history—Ian Lamphere proposed to his girlfriend, Elizabeth. The ring he offered consisted of braised sterling silver wrapped around a white stone. The stone was special; he had found it himself while mountain biking around their home in Crested Butte. The ring reflected Ian's creativity, depth, and ingenuity, and symbolized his and Elizabeth's connection to the outdoors, which they planned to instill in their 8-month-old daughter, Madelyn. 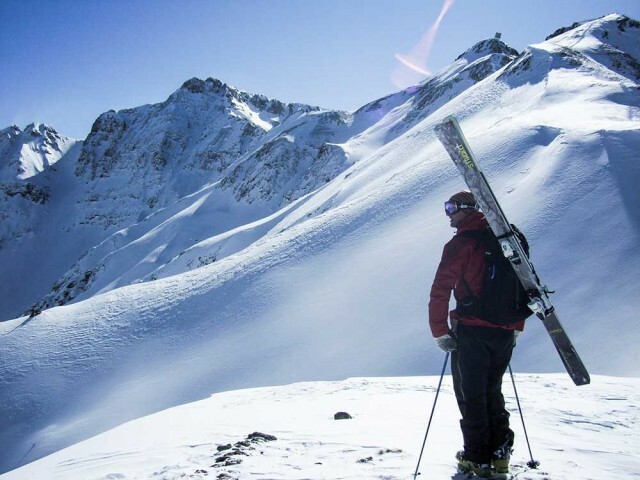 The Sheep Creek avalanche, which occurred on April 20, 2013, has since become a case study in awareness, prevention, and human factors—specifically, how five experienced backcountry enthusiasts, who were all affiliated with the ski industry, could be lured into hazardous terrain despite knowing the risks, and ultimately killed. Moreover, it is a harsh reminder how families must learn to live with the heartache of someone else's decision. Lamphere, who founded a company called Gecko that built glueless, silicone-based climbing skins, knew the consequences. Three days before he was killed, he told Elizabeth he wanted to create an organization that helped families trying to cope with losing a loved one in the mountains. It was sadly and weirdly prophetic. Elizabeth, shattered and heartbroken after Ian's death, took his idea and founded the International Avalanche Nest-Egg, or IAN Fund. While there are many efforts to promote avalanche awareness and education, the IAN Fund is unique in its mission to care for children and families. "I feel fortunate to be able to do this, and I'm thankful that Ian had this idea," says Elizabeth, who took Lamphere's last name. "Building a support network is a huge part of what we've tried to do. Six months after Ian died, I got a call from a girl whose friend had lost her partner in an avalanche. And it was good to know that I was able to help. Not that I'm an expert, but we all belong to this club that no one wants to be a part of." One of her goals is to help others understand that there is no glory from dying in an avalanche—that getting a face shot is not worth a life. "Ian would do anything to take that day back," she says. "The reality is you live doing what you love, and he loved living. The attitude around the sport has got to be put into check. I tell Madelyn that her dad makes the stars twinkle. Find me anyone that would want their son or daughter to be told that." Elizabeth runs the nonprofit with Ian's cousin and best friend, Leigh Lamphere. Leigh says he appreciates how some skiers want to take risks. As it was for Ian, he adds, skiing is the thrill that keeps many people happy and healthy. As part of a new campaign addressing risk factors, this winter the IAN Fund will recognize and honor individuals—mostly fathers—who demonstrate how to live adventurous lives while prioritizing their families. Working with White Room Skis, a boutique brand in Lamphere's home state of Vermont, the IAN Fund has built a pair of skis called "Man of the Mountains." The fund will give the skis out to dads who exemplify safety and awareness. "We're looking for people who are, one, incredible fathers; two, enthusiasts of adventure and skiing; and three, advocates of safety and awareness, in their own lives or community at large," says Leigh. To raise money, the IAN Fund solicits support from the ski industry through gear raffles and crowdsourcing. Primary contributors so far include Scarpa, DPS, Voile, Backcountry, and Jones Snowboards. Kim Miller, CEO of Scarpa North America, had known the Lampheres prior to the Sheep Creek avalanche. The accident had a profound affect on him and the direction of his company. While everyone needs to make their own decisions about which causes they support, Miller says the industry needs to be more conscientious of its influence on backcountry skiing. And that requires accountability when things go south, including helping people whose deaths don't make big headlines. In just over a year, the IAN Fund has provided help to two families in the U.S. and donated funds to the Himalayan Trust, which built schools in Tibet after earthquakes and avalanches devastated mountain villages. The Lampheres know it's just a start, and they plan to build on those successes for the future. "Prevention is brilliant and we're not trying to take away from that," says Elizabeth. "But there's nothing apart from the IAN Fund that straight up gives money to kids and families dealing with the nasty aftermath. It's not like it goes away after a year or two. This is a loss that is forever." She pauses for a second to shoulder the weight of her own grief, and adds, "I'm two years and four months into it." To find out how to help families of avalanche victims, click into the IAN Fund.